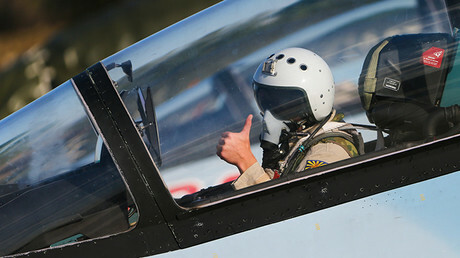 It is two years since Russia launched its military operation to fight terrorists in Syria at the request of Damascus. Analysts say that this move was crucial in saving the Middle Eastern country from falling into the hands of jihadists. Russia launched its aerial campaign in Syria at the official request of the Syrian government in September 2015, after Damascus asked Moscow for help in the fight against terrorist groups and Islamic State (IS, former ISIS/ISIL) in particular. His words were echoed by Alessandro Bruno, a senior analyst at Lombardi Letter, a Toronto based Advisory firm, who previously worked for the UN in North Africa. Bruno said that Islamic State might well even be in Damascus right now if not for Moscow’s timely interference. He drew attention to the fact that Islamic State was by far the most powerful Syrian rebel force as its fighters apparently received good training and “really good military strategists” were involved in the terrorist group operation planning. “Because of its excessive power, Islamic State could have gotten control over [all Syrian territories] if not for Russia,” he said. Ford also said that Russia’s military operation also weakened Islamic State in another way as “before that point, the US and other western states as well as the Gulf countries were sending [substantial aid] to the Islamist forces” despite the fact that this aid often ended up in the hands of Islamic State. Russian airstrikes on the terrorists’ ammunition depots and equipment storage bases deprived Islamic State of its material and technological resources. Russia also helped Syrian government forces to achieve “important strategic and symbolic” victories in Aleppo, Palmyra and other regions, Abdo Haddad, a Syria-based journalist and author told RT, adding that “proper planning, cooperation and air cover” provided by the Russian Air Force played a key role in those efforts. However, Russia’s role in Syria over the last two years was not confined solely to military assistance, the experts say. It was the Russian diplomatic efforts that prevented the situation in Syria from “getting completely out of hand” following the alleged chemical attack in the town of Khan Shaykhun in the Idlib province in April 2017, Ford told RT. The experts also praised Moscow’s efforts in the Astana peace process and particularly its initiative involving the establishment of the de-escalation zones. These zones facilitated the separation of the moderate opposition from the hard-line jihadists and terrorists, as well as contributing to the reconciliation between the parties to the Syrian civil war. The proposal to establish four de-escalation zones was signed by Russia, Iran and Turkey as well as approved by the Syrian government in May 2017 in Kazakhstan's capital, Astana. Four de-escalation zones were envisaged, located in eastern Ghouta, parts of Homs, Hama, Latakia, Aleppo and Idlib provinces as well as territories in southern Syria. Also included was the creation of a mechanism to monitor the ceasefire in these regions. The de-escalation roadmap “was a true remedy for the [civil] war,” Haddad said, adding that Russia’s political efforts were just as important for “preserving Syria’s sovereignty and unity” as the military assistance. Ford also praised Russia’s efforts aimed at cooperation with Turkey in the field of de-escalation, adding that Ankara’s involvement could help defuse tensions in Idlib province, which has long been an anti-government stronghold. 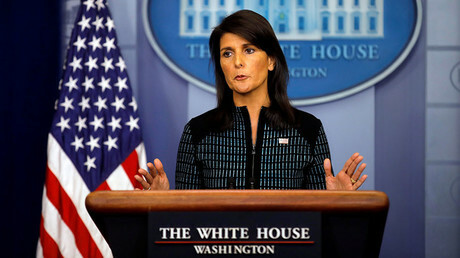 US to impede Syrian peace process? 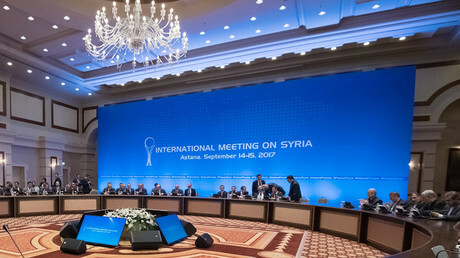 Analysts warned that the crisis in the region is far from over as the US possibly does not want to see Syria re-united. The end of the civil war would effectively mean the collapse of US plans to topple the Syrian government, and Washington shifting its focus to the Kurds. The Kurdish question could become another reason for a war in the region and put the Russians, who are seeking to preserve the Syrian territorial integrity, “directly against the US” which supports the Kurds, Bruno told RT. "Such an eventuality would greatly escalate tensions between Russian and US forces on the ground, leading to an increased risk of a direct clash between the two,” he added. He also said that the US is likely to “obstruct the Syrian Army’s efforts to regain the last bits of the Syrian land” that are still in the hands of terrorists and Islamist armed groups. The US wants to prevent Syria from recovering, and eventually to redesign the Middle East, Bruno added. Ford also warned that the US could use Kurds as its “proxies” and “encourage them to grab some land.” He said that while most Syrian Kurds do not want to secede from the unified Syria, the US could use its leverage to force them in the opposite direction.